Pierre Reynolds is an artist who lives and breaths House music, he constantly looks for new and innovative ways to make his work unique. With over 20 years experience under his belt it is clear he is a master of the genre, Pierre has paired up with musical maestro Bruce Bailey to create a soul-filled EP titled “DC to Detroit” and with this interview, talks us through their process for making this EP. Where did this collab first come about? 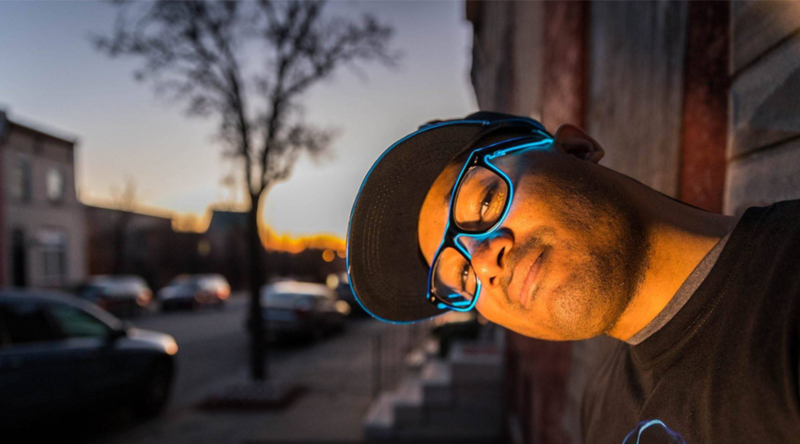 Pierre Reynolds: I initially met Bruce Bailey in Detroit while playing at his annual Bang The Rooftop event during Movement Festival weekend. We immediately hit it off and decided to do our first project called “Don’t Touch That Phone” on Kolour Recordings. With all the success that release garnered we wanted to follow it up with the “DC to Detroit” EP. How did you find working together whilst based in different areas? PR: Fortunately the distance between us has not stifled or affected the production. Bruce is the mind behind the project, picking the material to remix and providing the overall direction of the track. Once I have that executive oversight, I start laying the track. If he were the conductor, I would be the orchestra. With all of the communication tools today we are able to stay in total sync. What was the inspiration behind ‘Sing’? PR: The goal of the EP as a whole was to create peak time soulful house tracks. Once that goal was realized, we knew a gospel house selection was a must! The remix was inspired by Kirk Franklin’s gospel classic “Why We Sing.” We both love the original and agreed it dance floor hit. What was the inspiration behind ‘Jamhouse’? PR: “Jamhouse” was truly a Bruce Bailey brainchild. The original “Welcome To Jamrock” is also a classic in the reggae world. I was initially a little unsure of how it would sound totally house’d out. Once it was said and done production wise I was blown away during playback. How would you describe the DC to Detroit EP? PR: It is best described as peak time soulful house. The phrase ‘peak time’ is usually attributed to big room EDM songs; a description not or never used in a subgenre like soulful house. However I believe that the songs on this EP have the same potential energy as the grandest of EDM songs. The instruments may differ but the power and impact are the same. PR: First it would be disconnected from my home so that my wife would not tell me to turn the music down every 30 minutes! Beyond that I would love to have enough space to have a large mixing board as opposed to doing all the levelling and such with my mouse. PR: My success on the Traxsource/Beatport dance music charts has really been my number one inspiration as of late. Seeing the majority of my release chart in the Top 100 and sometimes Top 10 is a dream come true. It lets me know that people are really enjoying what I am creating. What do you get up to outside of making music? PR: Like most, I enjoy a night of Netflix and chilling out. I still love to go roller-skating and do a handful of times a year. I am a man intrigued with history so I love visiting historic areas and museums. If you could listen to one song for the rest of you life what would it be and why? PR: Air by Johann Sebastian Bach. Whenever I hear this song it puts my mind body and soul in a blissful place. If I could, I would want to enter the song as if it was an actual place. My spirit moves with the movement of the song. Can we look forward to any more collabs from you two in the future? PR: Without a doubt! We work really well together and I think with this second release people are wondering what we will do next. Jake Cusack: Behind The Scenes-"What Is Life"
No Replies to "Pierre Reynolds: Behind The Scenes-"DC To Detroit" EP"